Connect your PomoDoneApp timers and tasks to over 750 apps using our Zapier integration. What PomoDoneApp Triggers and Actions are Supported? New Timer Started - Triggers when the app timer is started. Current Timer Stopped - Triggers when the app timer is stopped. Item Complete - Triggers when a task is marked as done. Create Task - Creates PomoDoneApp tasks from any source. 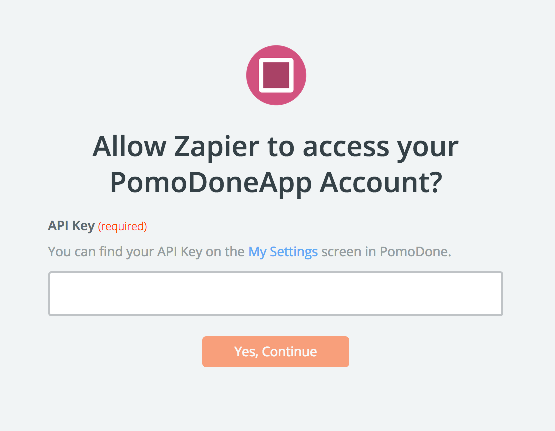 To get started with PomoDoneApp on Zapier, first you will need to click to connect your PomoDoneApp account to use with your Zap. Next, you'll be asked to enter your PomoDoneApp's API key. Log into your Profile Account. 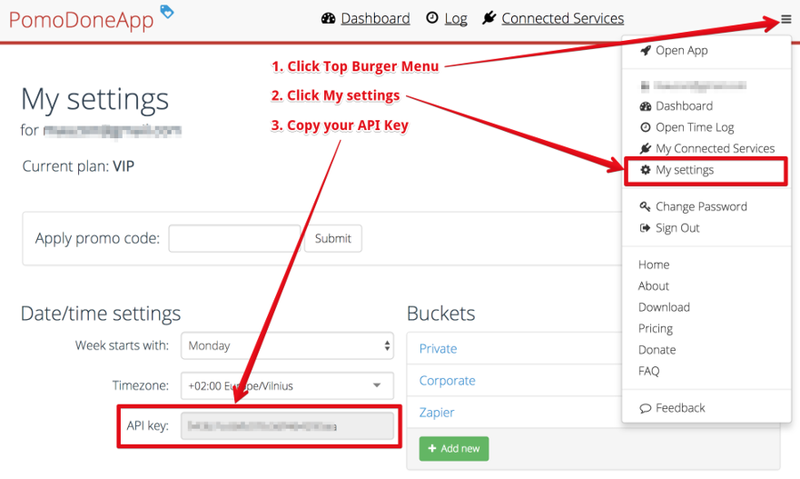 Click "My Settings" from the Top Burger Menu. Paste your key back into your Zapier account and then “Continue”. 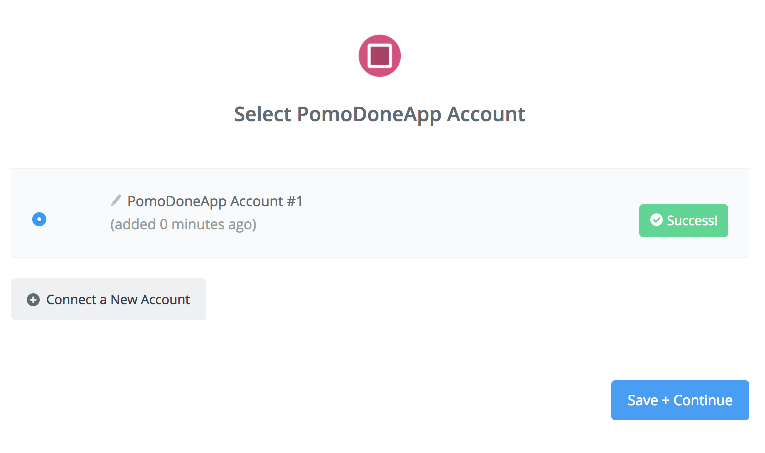 If your API key was entered correctly your PomoDoneApp account will now be successfully connected.